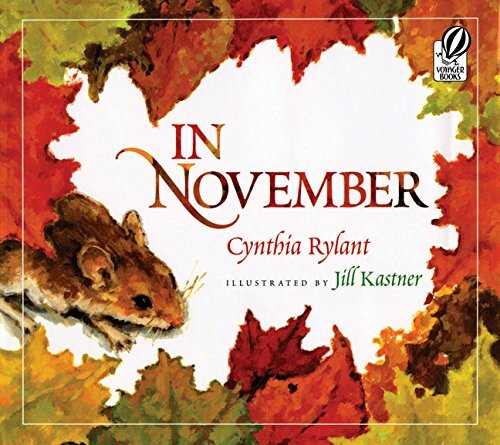 In honor of National Poetry Month, I'll be sharing some of my favorite poetic picture books. Beautiful, vivid, delightful reads. Here are five by Cynthia Rylant, an amazingly prolific author with an insane diversity of titles to her name. Rhyming and some twists of syntax that seem unnatural. This isn’t my favorite Rylant book thus far. She gets away with the decent rhyme in part because the story is fantastical—it lends itself to a sort of high-brow, old-fashioned way of structuring sentences. However, I love the tenderness. 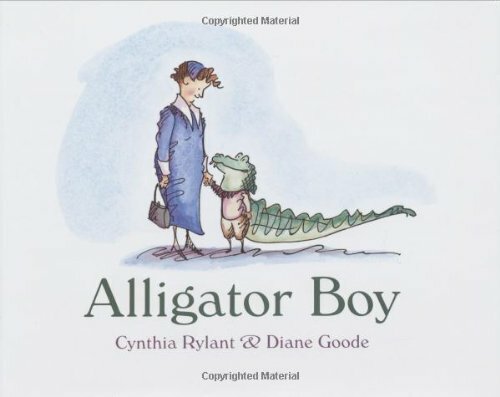 The little boy wants to be an alligator, so he dresses up as one and is happy. How many times haven’t my own kids wanted to wear a costume out and I wonder if I should let them? I do, of course; it’s part of the magic of childhood. 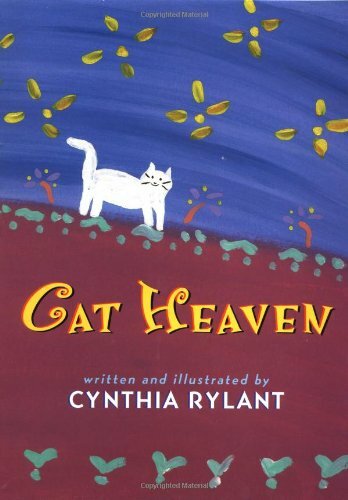 Cat Heaven, Blue Sky Press (Scholastic), 1997. Another rhyming book, but I just couldn’t resist. “And when cats are hungry,/there’s God’s kitchen counter/all covered with/white kitty dishes,/full of tuna and salmon/and mounds of sardines,/and wonderful little pink fishes.” Oh, yeah, now that’s cat heaven! 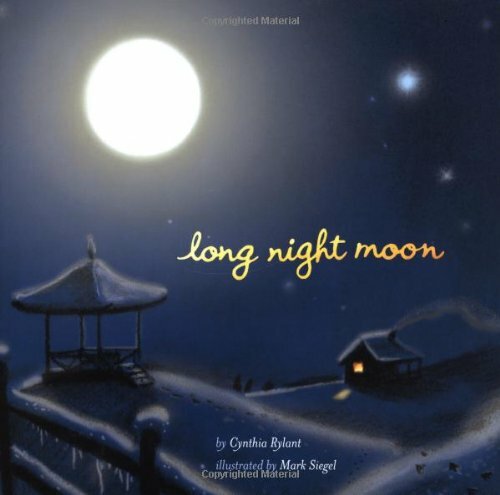 Long Night Moon, Simon and Schuster, 2004. The Stars Will Still Shine. HarperCollins, 2005. All the Violet and the Woofish News! A book trailer, a contest, and more! All for my newest release, picture book Violet and the Woof! I first "met" Karlin when she asked to do an author interview on the release of my first book, Halloween Good Night. Of course I had to follow suit (i.e., steal her excellent idea!) to celebrate the release of her second book, An Extraordinary Ordinary Moth. Announcing: Another Picture Book Sale! And then there were three ... books by me! It is with supreme delight that I announce Eerdmans Books for Young Readers will be publishing my picture book, Mama Earth's New Year. Yay! Poetry Month is coming to a close, and with it I'll share five Zolotow picture book classics. Books like these are "out of style" in current publishing, which is a shame. I'd much rather read Flock of Birds over and over than books about crazy hair or farting dogs. I started the first semester of graduate school knowing just a little more about picture books than I do about worms. Children love them, they come out on rainy days, and if you cut them in half, they really do die. 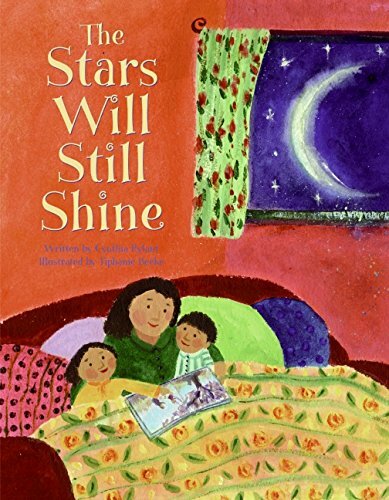 As we continue to celebrate poetry, I continue to study picture books. I don't think I could count how many I've absorbed in the past years. Oodles? Oodles of oodles? A lot. The 3 Act structure provides a perfect framework for any genre of picture book, about any subject. Plus thinking of it in terms of the grid we drew together, it can help immeasurable with pacing and troubleshooting a story that just isn’t working. My Book is on AMAZON!!! Yes, you can pre-order Halloween Good Night! I am so full of exclamation points! See, just this morning I was showing Maggie the cover art pdf. She, always attentive, noticed the little square on the back cover where the bar code will go. "What's that?"